TripAdvisor is the go-to for travellers across the globe. So a high rating is really important for local cafes. Highland Coffee seems to be the perfect place to relax with a locally roasted coffee (and a croissant!) while enjoying the spectacular views that Clarens has to offer. This coffee shop on the corner of the town square is said to be warm and welcoming, and the staff go out of their way to provide good service. 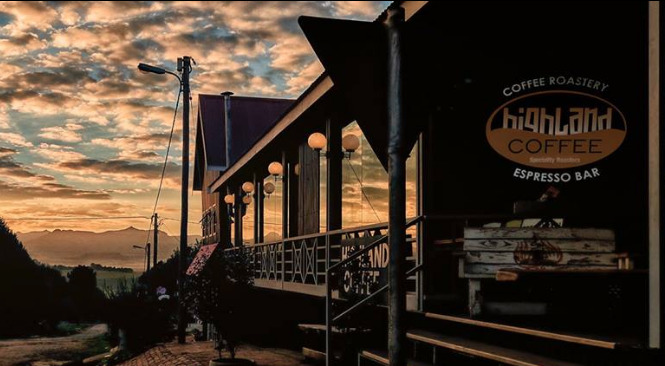 “We can’t get enough” is a frequent comment, and Highland’s coffee was even referred to as on par with Paris, Vienna and Prague according to one traveller! High praise indeed. 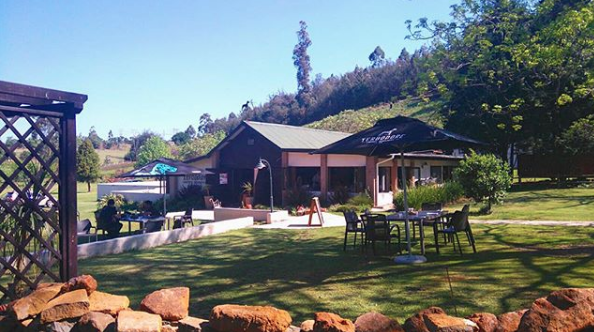 “I have been fortunate enough to experience Terbodore’s wonderful food, setting and coffee more times than I can remember.” – Sam H.
According to reviews, it’s worth a drive just to enjoy the aroma of roasting coffee, the Great Danes who wander the property (who are also the Terbodore mascots), and the food that draws people in droves. A booking is a necessity because the restaurant is so popular – forget dropping in and expecting a table on a busy weekend! Reviewers love the ambience that Terbodore have created, and it sounds especially cozy in winter, when you can expect a roaring fire. “Watching the siphons and aero presses going is lots of fun. The baristas really know their stuff.” – Yvette W.
Origin is apparently THE place to go for breakfast if you’re staying nearby, and reviewers highly recommend the eggs benedict. With fast and friendly service and an extensive coffee menu, Origin is a favourite amongst coffee-loving locals and foreigners alike. The coffee variety is as broad as the brewing methods on offer, and customers love the interior and the atmosphere that Origin has created. 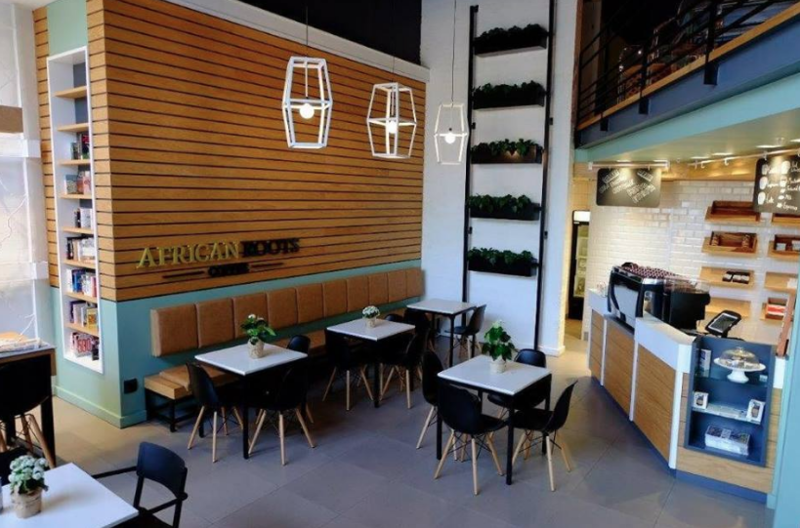 “Amazing quality organic and artisanal food paired with the best coffee in Africa (single origin beans responsibly sourced from African countries).” – Julian A. With 100% Arabica, single origin coffee, responsibly sourced only from this continent, African Roots Coffee is making a name for itself. Reviewers cannot recommend it enough, and love the coffee on offer – from Ethiopia, Rwanda, Zimbabwe, Tanzania, Uganda, Burundi, Zambia and Kenya. Customers have a hard time leaving without purchasing a bag of beans or ground coffee to take home with them. You can while away the time in the relaxed setting, enjoying the jazz music and exceptional service, making it a firm favourite amongst customers. 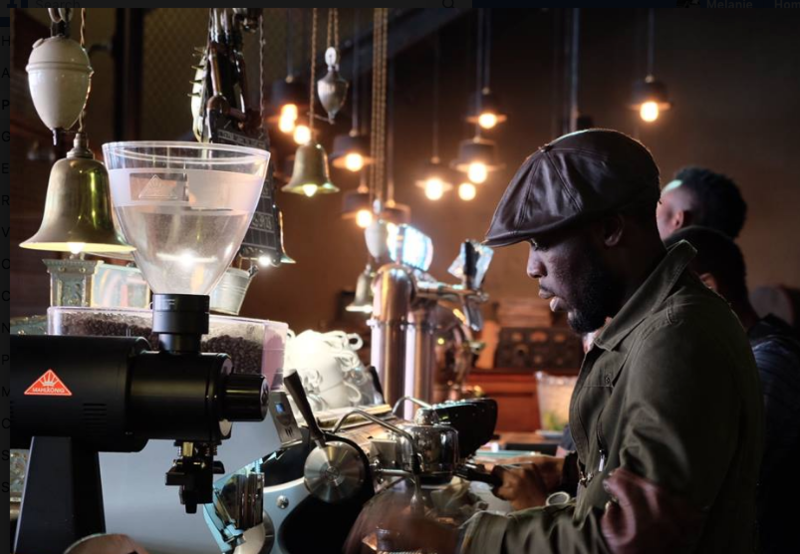 “Interesting artifacts, incredible grinding machine, moody music and great coffee” – Stephen C.
If you’re looking for a quirky ambience to go with your great coffee, look no further. According to reviewers, Truth offers a different way to drink coffee. 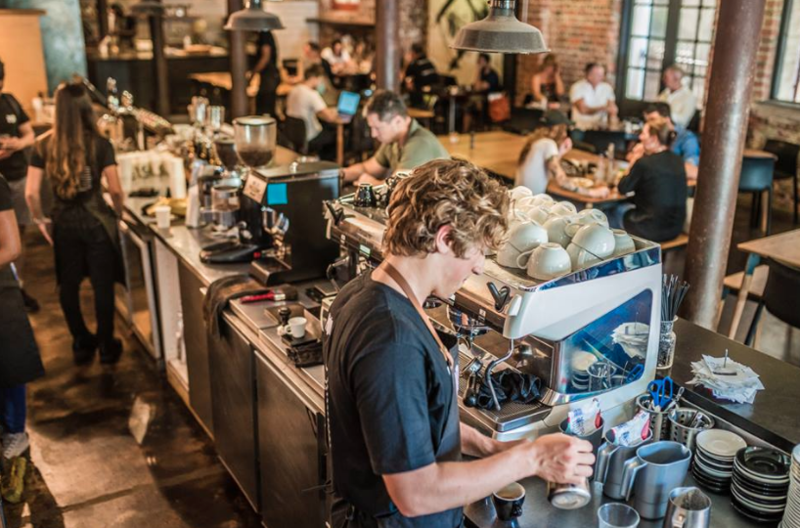 With the staff in steampunk attire and a dark interior like something out of a Jules Verne science fiction novel, the atmosphere is almost as popular as the coffee. “Best coffee ever” comes up frequently in the reviews, and apparently you can’t go wrong with the Croque Monsieur. There are MANY more highly recommended cafés to visit according to TripAdvisor. Make sure you check out the best coffee places nearest you!